Our dinner theatre trip starts with a sumptuous dinner buffet at the Cobourg Inn & Convention Centre followed by the play. ​Bernard, a fun loving bachelor in the swinging 60's is engaged to three beautiful airline stewardesses at the same time, none of whom have any knowledge of the other two. This hilariously funny comedy had a 7-year run in London's West End and the movie version starring Jerry Lewis and Tony Curtis was nominated for multiple Golden Globe awards. Sumptuous dinner buffet at the Cobourg Inn & Convention Centre. 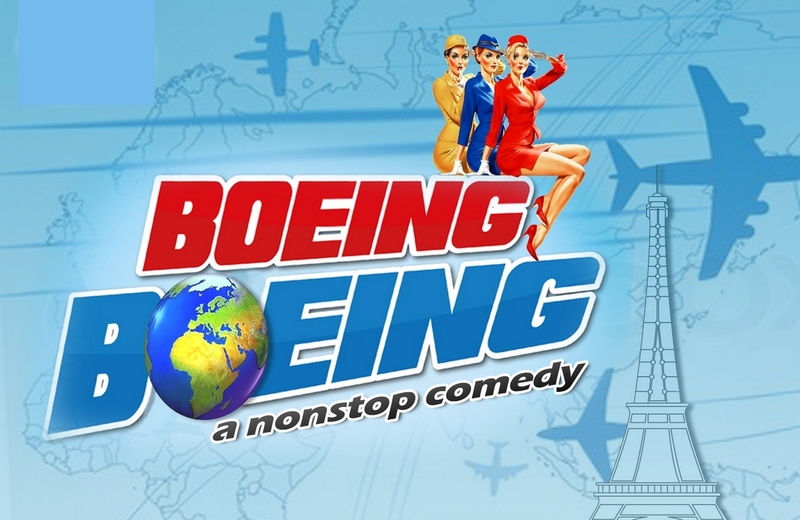 Ticket to "Boeing Boeing", a nonstop comedy. Please note that we return to the Toronto area at approximately 11:00 PM. It's the 1960's and swinging bachelor Bernard couldn't be happier. A flat in Paris and 3 gorgeous stewardesses all engaged to him without knowing about each other. But Bernard's perfect life gets bumpy when his friend Robert comes to stay and a new speedier Boeing jet throws off all his carefully planned scheduling. Soon all three stewardesses are in town at the same time and Robert is forgetting which lies to tell to whom and catastrophe looms. Boeing Boeing played in London's West End for a 7-year run and the movie version starring Jerry Lewis and Tony Curtis was nominated for two Golden Globe awards. This riotous farce is now set to arrive at the Cobourg Inn & Convention Centre. ​Ladies & Gentlemen.... fasten your seatbelts! We will enjoy an extensive dinner buffet before the play. Vegetarian and gluten-free options will be available.